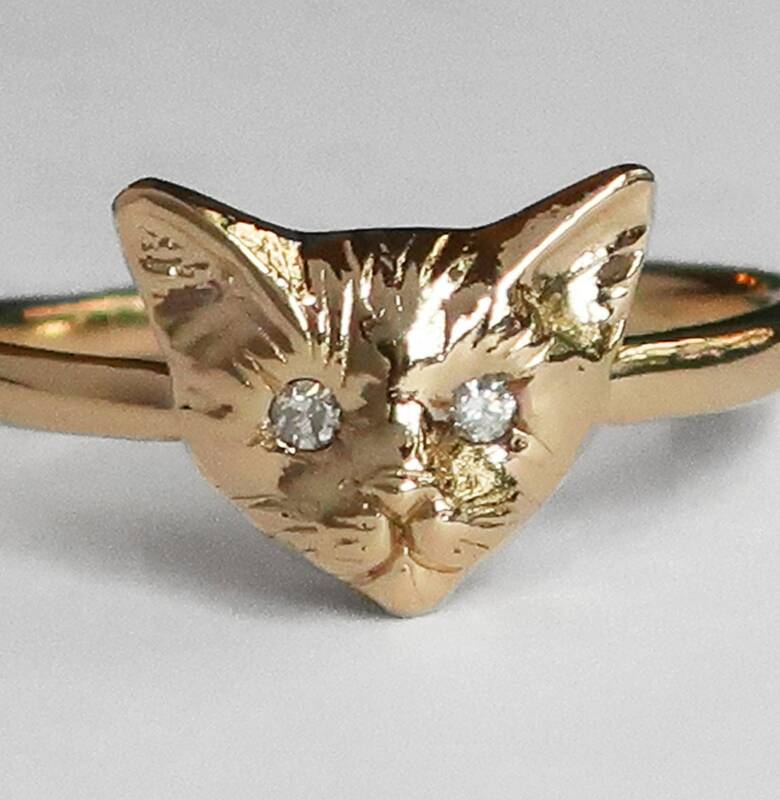 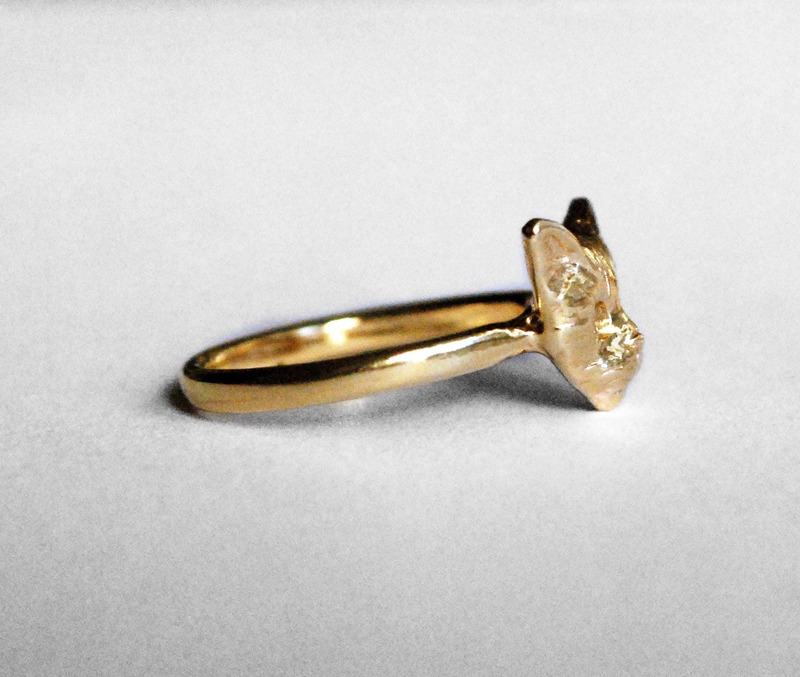 Solid 14k Yellow Gold Kitty Cat Ring with 1.5mm white VS1 white diamond eyes. 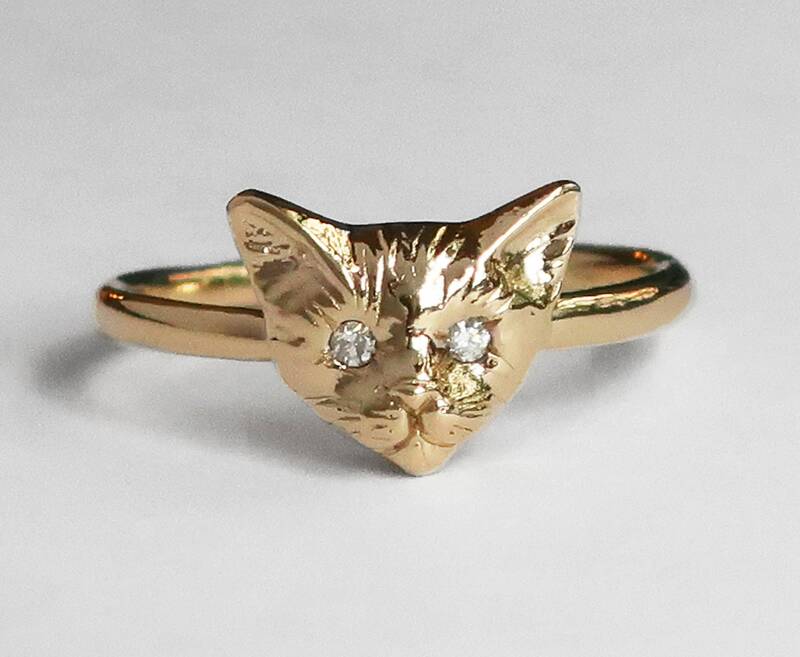 This ring is US size 5.75 but can be stretched to size 6 (please write "size 6" in the notes at checkout). 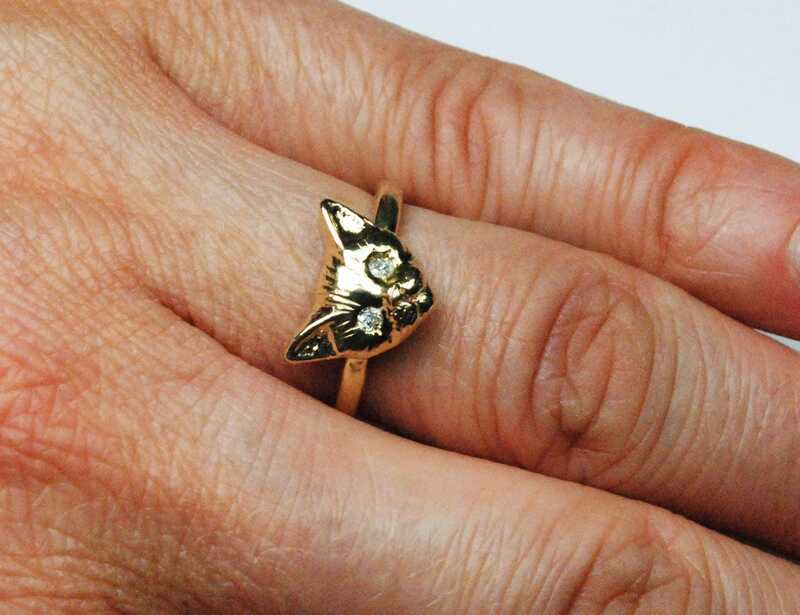 Please contact me for a quote and timing if you would like a different custom size or would like this ring made with different color diamonds or gems.